From today, bus commuters will be able to enjoy reading the poems of 10 winners of the competition: Tara Cheyne, Peter Clynes, P.S. Cottier, Isaac Dugdale, Katherine Hind, Rosa O’Kane, Moya Pacey, Geoff Page, Sarah Rice and Elisabeth Yarbakhsh. An independent peer panel of distinguished writers and poets – Hal Judge, Lizz Murphy and Will Small – chose the winners from the 270 submissions received. Each winner was awarded received $500, a $40 MyWay card and their winning entry posted on ACTION buses. No astrojax, I didn’t post it in the original thread on here…being incredibly selfish and nasty, I wanted to keep the idea of an acrostic spelling out Canberra to myself! i’m not sure my poetic ramblings are fit for riotact. maybe one, one day. By the way, I see that another poet did a Canberra acrostic: James Rensch, who is eight. The children’s poems can be accessed by that page above, as can the highly commended poems. Poetix read out a number of poems at Smith’s last thursday night. Quite a wonderful night of poetry and readings. That’s a link to all the poems, for those who might like to read them off-bus. 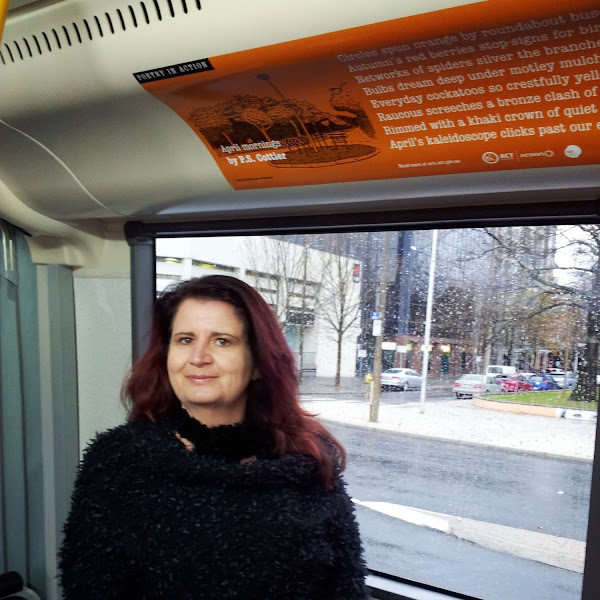 Performing poetry sober, freezing, on a bus at 9.30 is a tad rough…But it was lots of fun. Poets ranged in age from 18 to slightly more than 18. I am so happy to have my poem next to an illustration by Trevor Dickinson. Good stuff! Pity we can’t see the whole poem in the pic though (as I don’t get on buses too often).